You follow Tunisian revolution news, you change your profile picture on Facebook. You start liking all these pages in support of the Tunisian revolution. You start having all these unfamiliar feelings, making new plans, walking in the streets as if you want to share a known secret: our time has begun. You can reassure yourself now: It’s OK to forget those 5-year plans of immigration. Of starting from scratch somewhere new. You can start a new beginning right now, at home. We start calling each other, whispering, to meet and talk. Then comes depression, mixed with hope, for all these meetings and talking are leading nowhere to what you imagined it would at times like these. But you meet and talk nonetheless. You even start liking people you always hated, and hate people you always looked up to. That’s what happened between me and Anas. In the past few months me and Anas became friends. For those who remember the campaign against homosexuality, it’s what made both of us hate each other, very much. Then I don’t know what happened, Anas added me on chat and we started talking, we talked a bit about sexuality, and I clarified few misconceptions about queer people, then we started talking about other stuff, stuff that both of us, agreed on. He told me something I’ll never forget. He became close to my heart. We went to meet the president’s advisor, Buthaina Shaaban, few weeks before the revolution erupted. He was the sweetest and calmest among us. Anas is into technical stuff, he also likes Arjileh and malls (which I hate very much). Anas was detained on Friday July the 1st from a demonstration. 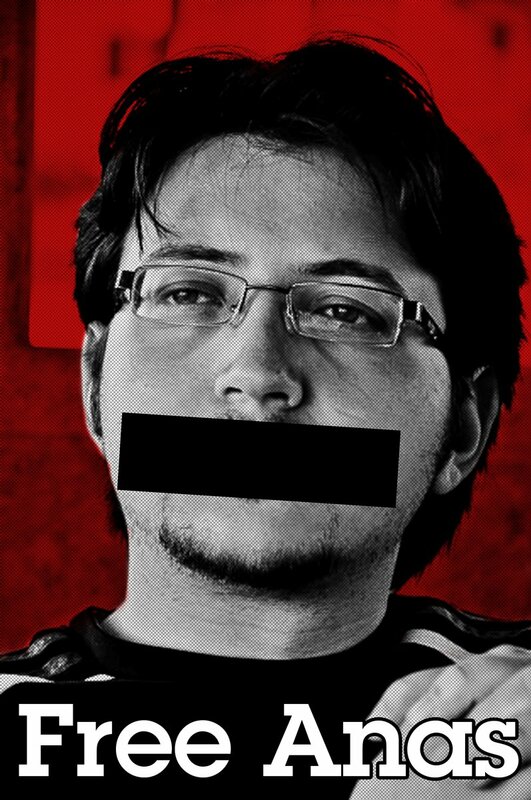 I want him back, I want him back to his family and friends, to the Syrian blogging sphere, to his Ardroid site, and to my chat list. Join our call to free our friend Anas on Facebook here. Free Anas campaign blog here. Hashtag on twitter is #FreeAnas.